I am a professor in the School of Informatics at the University of Edinburgh. I am affiliated with EdinburghNLP, the Natural Language Processing Group at the University of Edinburgh. My research focuses on how people solve complex tasks such as understanding language or processing visual information. My approach to understanding human cognition combines experimental techniques such eyetracking with computational modeling. 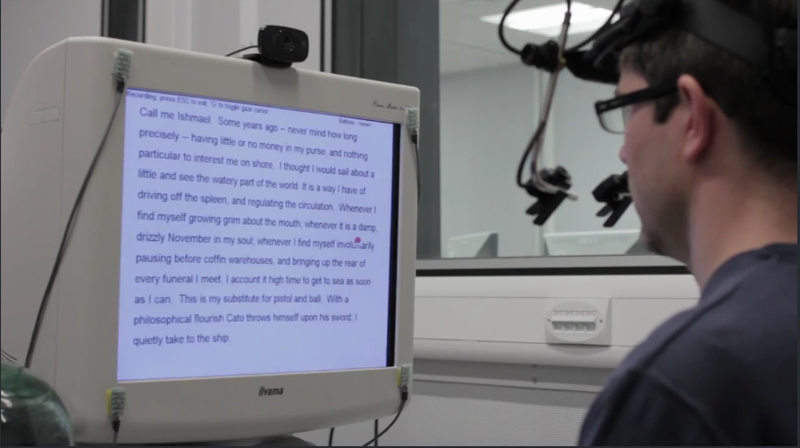 Eyetracking makes it possible to build up a highly accurate picture of where people look when they read a sentence, speak a word, or view a visual scene. The data generated by eyetracking experiments allows us to build computational models that simulate the behavior we want to study. Such models predict, for instance, which words humans fixate when they read a text, or which objects they focus on when searching a visual scene. If you are thining about doing a PhD in the area of language and cognition, check out our new Centre for Doctoral Training in Natural Language Processing.